A “Class of 1963” charter inductee, Terry Reardon’s contributions to the Reds may have been more as a coach and general manager than as a player. As player/coach from 1947 to 1953, he compiled a record of 202-184-22 (.522) and led the team to the Calder Cup title in the 1948-49 season. As a player with the Reds, this center/right wing registered 77 points on 16 goals and 61 assists with 89 PIM in 273 games. 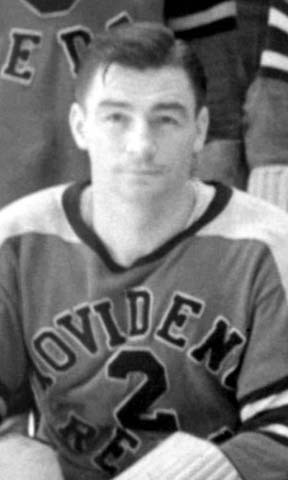 A veteran of seven NHL campaigns between 1938 and 1947, Reardon hit the century mark with 47 goals and 53 assists in a total of 193 games. His name is engraved on two Stanley Cups, playing for the Bruins in 1929 and 1941.